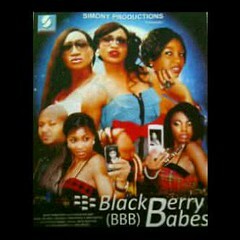 Blackberry Babes is a Nollywood comedy about a group of girls played by Oge Okoye, Tonto Dikeh, Annie Macaulay that live and die for cellular technology by way of their Blackberry phones and will only date guys that they think can buy them one. These girls are obsessed with their Blackberry phones to the extent that some of them own more than one model and are desperate for a new one as soon as another model is released. Even while they are in university lectures they BBM each other. Going on a shopping date involves taking pictures on the phone of items to buy and Blackberry Messaging the pictures to the other girls for approval. Keisha played by Mary Remmy and Apolonia played bny Eniola Badmus are trying to get into the popular crowd of Blackberry owning girls but exist solely on the margins because they don’t own one. To what extent will they go to get a Blackberry smart phone and will they ever be accepted?